The Labour party would give gig economy workers the same rights as employees – including sick pay, parental leave and protections against unfair dismissal – shadow chancellor John McDonnell will pledge. 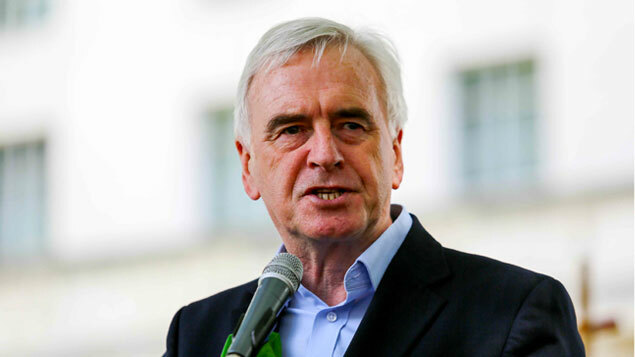 In a speech at the TUC’s annual conference today, McDonnell will say a Labour government would automatically treat those in insecure jobs as workers, unless the organisation can prove otherwise. Full rights would be extended to all workers, including those in the “limb (b)” category – self-employed individuals who carry out work on behalf of an organisation without a formal employment contract. HM Revenue and Customs would also be “properly” resourced so that employers that breach employment rules will be fined. “When employers use legal loopholes and weak enforcement to duck their responsibilities, close those legal loopholes and strengthen enforcement,” McDonnell will say. He will also criticise the government-commissioned Matthew Taylor review on working practices – the recommendations from which informed the government’s Good Work plan, which was published earlier this year. He will tell conference attendees that it the Taylor review was wrong to assume that working flexibly must come at the price of job insecurity. “Just because you don’t work regular hours doesn’t mean you can afford not to work when you are sick,” he will say. “Just because you work several jobs doesn’t mean you can afford to lose one of them without warning. Labour’s plans were welcomed by Jason Moyer-Lee, general secretary at gig workers’ union Independent Workers Union of Great Britain. The union has represented several individuals in their claims to be recognised as workers rather than as self-employed – including a successful claim by an Addison Lee cycle courier and a group of Deliveroo riders who are seeking to overturn a ruling that they were self-employed. However, Crowley Woodford, partner at law firm Ashurst suggested Labour’s proposals would move the UK’s employment model closer to the continental European model of collective decision-making and “squeeze out” the flexibility that some employers rely upon. “These proposals would inevitably add to the employer’s cost base and the complexity of the employment framework in which they operate,” Woodford said. Gig workers lives would also lose the flexibility that attracted them to their role, according to Andy Chamberlain, deputy director of policy at the Association of Independent Professionals and the Self-Employed. “Gig work gives them a sense of control over their careers, which is particularly important for people who need to find work which fits around parental or caring responsibilities,” he said. For a lot of people the flexibility of the so called gig economy is what entices them to it. If there are more layers of bureaucracy then this will inevitably lead to increased costs and be a deterrent to market. Also, by banning zero hours contracts with a guaranteed minimum hours, this will add to costs and affect employment. Also what would be an acceptable minimum number of hours, will it differ by sector, pay, regions? Zero hours contracts in themselves are not wrong and allow flexibility on employer and employee parts. “layers of bureaucracy” is a funny way to describe giving flexible workers the same rights as everyone else. Surely simplifying the different employment categories would reduce bureaucracy, not increase it? Zero hours contracts are wrong if the employee is essentially on perpetual standby and effectively unable to take other work. Your final line is as disingenuous as they come. Exploitation of workers is a real problem and regulation should seek to limit it to avoid a race to the bottom in terms of pay and conditions. Wakey wakey Carl, the Amazons of this world are busy forcing people to work in poor conditions for low pay and this is undermining the economy whilst those companies make enormous amounts of profit. Cost is not the issue; they can clearly afford it! You are not giving people anything. You are taking their freedom to choice away. If people have chosen to work this way, you are forcing your way on them. Such choices should be left to the economy and the market. Please don’t ruin people’s lives just because you think that this might not be what they want.